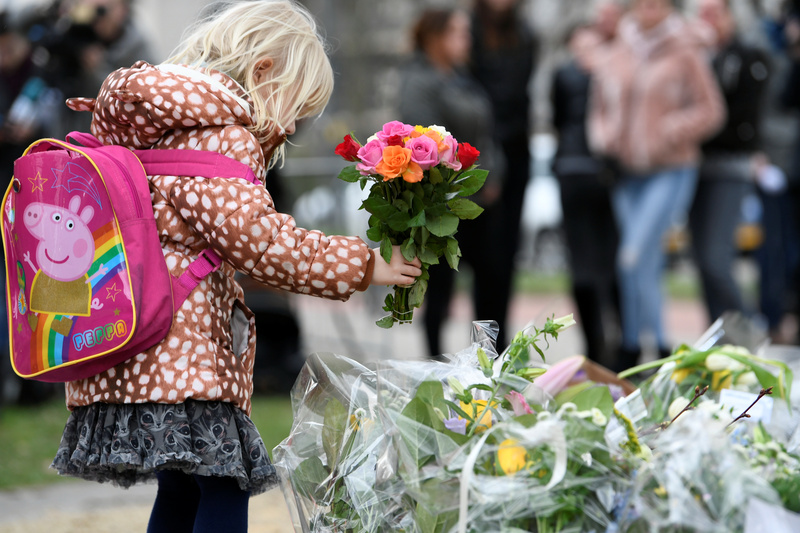 Dutch officials said a suspected gunman admitted to killing three people in the Netherlands shooting on a Utrecht tram Monday. A 19-year-old woman and two men, 28 and 49, were killed. The suspected gunman also wounded five other people. Authorities are still investigating whether Tanis was motivated by terrorism or personal issues along with radicalized ideas, BBC reported. Police considered Tanis, who was born in Turkey, might have had a terrorist motive after finding a letter in his getaway vehicle. Officials evacuated all mosques in Utrecht and security was temporarily increased at mosques around the country, The New York Times reported. It is unclear whether evacuations were due to a specific threat or were done to be cautious after the deadly mosque shootings in Christchurch, New Zealand Friday. Zabit Elmaci, who used to work with Tanis, said he was “always in trouble,” according to the Times. A judge extended Tanis’s detention for two more weeks Friday, BBC reported. Investigation is ongoing. This is not the first terror-related incident the Netherlands has faced in recent time. Seven men were arrested for conspiring to commit a major terrorist attack in the country and an Afghan man stabbed two Americans in a railway station in September 2018. New Zealand politicians, members of the media, and non-Muslim women embraced displays of Muslim faith Friday in an effort to show solidarity with the country’s Muslim community after the Christchurch shootings. Prime Minister Jacinda Ardern donned a hijab, along with thousands of other non-Muslim women, and recited a passage from the Koran at a ceremony in Hagley Park shortly before the Muslim call to prayer was broadcast nationwide. Despite overwhelming support for the #scarvesinsolidarity campaign, Muslim and non-Muslim critics lambasted it, arguing that hijabs are used to oppress women in Muslim majority countries. New Zealand politicians and journalists have embraced Islam in their efforts to show solidarity with the Muslim community after the Christchurch shootings. New Zealand broadcast the Islamic call to prayer at 1:30 p.m. local time nationwide, the time when the attacks began the previous Friday, on both television and radio. Thousands of New Zealanders of various faiths also gathered at Hagley Park and other areas around the country to attend a live call to prayer, followed by two minutes of silence and reflection. Ardern also recited a passage from the Koran prior to the call to prayer. WATCH: New Zealanders of all faiths observed the Muslim call to prayer on Friday in memory of the worshipers killed during the Christchurch mosque attacks. Politicians and members of the media also reportedly began their broadcasts and addresses with the Arabic greeting Al Salaam Alaykum. Some New Zealand newspapers also featured a version of the greeting on their front pages. Thaya Ashman, a doctor in Auckland, began the social media campaign #scarvesinsolidarity after the shooting, urging non-Muslim women to wear hijabs on Friday as a show of support for the Muslim community. The campaign garnered massive support throughout the country, with leaders like Ardern wearing a hijab to Hagley Park and thousands of women donning hijabs for ceremonies to commemorate the mosque shooting victims, 50 of whom were killed and several others who were hospitalized with wounds. Muslim volunteers even distributed hijabs at the events and helped non-Muslim women don them, according to The Washington Post. A nationwide reflection for those killed in the Christchurch terror attacks. The Muslim call to prayer will be at 1.30pm followed by a two-minute silence at 1.32pm. “Why am I wearing a headscarf today? Well, my primary reason was that if anybody else turns up waving a gun, I want to stand between him and anybody he might be pointing it at. And I don’t want him to be able to tell the difference, because there is no difference,” Bell Sibly, a woman in Christchurch, told Reuters. Women police officers providing security for the ceremonies and later for the burial of the victims also sported hijabs. A non-Muslim police officer wears hijab while protecting Muslims to show her solidarity. The campaign for non-Muslim women to wear hijabs garnered criticism, however, as hijabs and various other forms of Islamic headwear for women are seen as a form of oppression against women, since wearing them is not optional for women in conservative Muslim communities. “If I could I would be attending the mosque and standing outside to show my support for my Muslim whanau but I’ve got lectures and I can’t really skip them,” college student Kate Workman, who wore a hijab Friday, told The Globe Post. Other women who wore hijabs, like Rafaela Stoakes, expressed similar sentiments. Brenton Tarrant, the suspect behind the massacre of 50 people at two New Zealand mosques, has fired his court-appointed lawyer and wants to defend himself amid concerns he might use the high-profile trial to promote his beliefs. Tarrant, a 28-year-old Australian charged with murder over the brutal attack, has sacked his lawyer Richard Peters, the attorney told the NZ Herald on Sunday. The alleged shooter parted ways with Peters on Saturday, shortly after his brief appearance before Christchurch District Court that morning. Peters said that the Australian “seemed quite clear and lucid” as he refused his legal assistance. “He didn’t appear to me to be facing any challenges or mental impairment, other than holding fairly extreme views,” the lawyer said. Apart from the calm demeanor the attacker displayed during his several minutes before the judge, little is known about his current state of mind since Tarrant had not issued a statement or attempted to address the court. He did not seek bail, neither did he appeal to have his name withheld. The mass shooting in New Zealand appears to line up with the narrative that conservatives are violent and hateful and therefore deserve to be censored. Matt Bracken joins Alex to reveal how actually Facebook is responsible for the attention this murderer received. Tarrant’s now-former lawyer said that the alleged assailant did not appear to show any remorse – though they did not specifically discuss that topic. According to Peters, his sacking might be an early indication that Tarrant wants to make the most of his trial by treating it as an opportunity to promote his violent extremist views. In that case, it will be up to the presiding judge to cut short any such PR stunt. The lawyer believes the court will not be “very sympathetic” to Tarrant if he opts to use it as a tool in his propaganda game. While the court cannot preclude Tarrant from representing himself, it is likely to appoint a lawyer who would advise the alleged attacker on the rules of judicial procedure, Peters noted. As concerns are mounting that the alleged gunman could subvert the NZ judicial system to serve his own interests, the New Zealand authorities are asking the media and the general public to give Tarrant as little exposure as possible. Judging by his previous actions, publicity is exactly what Tarrant is seeking. He sent a lengthy manifesto to NZ Prime Minister Jacinda Ardern’s office 10 minutes before going on a shooting rampage inside the Al Noor mosque. He then live-streamed the whole massacre on Facebook. While the original video has long since been removed, Facebook is still struggling to delete copies, having erased 1.5 million instances of the video in the first 24 hours after the attack. In order to prevent the spread of the video, the New Zealand government has cracked down on those who defy the ban on ‘objectionable’ content. On Sunday, a 22-year-old man was arrested for allegedly distributing the blood-curdling video. The man, who faces jail if found guilty, will appear before court on Monday. The alleged shooter’s next appearance before the judge is scheduled for April 5. The Mosque shooter’s manifesto is filled with contradictions typical of an insane person. Alex Jones takes this story head on and delivers his break down of the manifesto meant to be a window into the killer’s mind. Right-wing provocateur Milo Yiannopoulos has been banned from entering the country of Australia over his comments on social media about the New Zealand mosque shootings, ABC Australia reported. The ban comes after 49 people were killed and dozens more injured in attacks at two mosques in Christchurch, New Zealand, by an alleged white supremacist. Shortly after the shooting, Yiannopoulos took to Facebook to describe Islam as a “barbaric, alien” religious culture. “I’m banned from Australia, again, after a statement in which I said I abhor political violence,” Yiannopoulos said on social media. Yiannopoulos, a former Breitbart editor, was barred from entering Australia earlier this month after his visa application was rejected on character grounds.